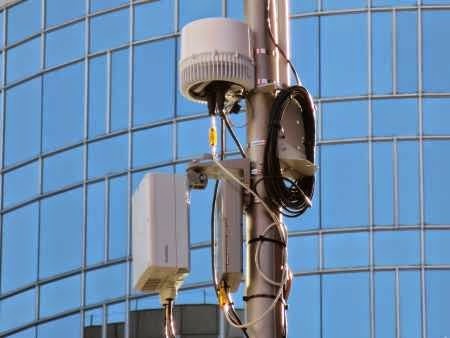 Small cell architecture deploys significant commercial and performance benefits for 3G and 4G networks, thus, expected to drive the market to a great extent in the near future. Small cell architecture offers 2.5 times user data rate of pure macro cell environment, providing about 1.8 times the capacity for mean data rate of 10Mbps per user. Small cells are widely used in cellular phone applications. Continued aggressive growth in data traffic fuelled by increase in sale of smart phones, and video and application usage, and M2M devices is creating urgent need for faster and efficient networks. Small cells are small cellular base stations designed for use in homes or small businesses. Small cells connect to service provider’s network via broadband. Small cells allow service provides to extent their service coverage area indoors where service is limited or unavailable. Research and developments are made for improvements in coverage and capacity of the area indoors. These technological improvements are expected to result in better coverage and potentially better voice quality and battery life. Based on the carrier, consumers may also be offered with attractive tariffs. All these benefits are altogether contributing to the growth of small cell equipment market and the trend is expected to continue in future with increasing number of mobile phone users. This report includes comprehensive analysis of current market trends in small cell equipment market, industry growth drivers, restraints, industry structure, and market projections for upcoming years. It also includes analysis of technological improvements in market, Porter’s five force model analysis, and complete industry profiles of top market players. This report provides review of micro and macro factors significant from point of view of existing market players and new entrants along with detailed value chain analysis. Some of the key players dominating this market are AirHop Communications, Airspan, Airvana, AirWalk Communications, BelAir Networks, CommScope, Contela, ip.access, Juni, Powerwave, Taqua, Ubiquisys, Wazco, Alcatel-Lucent, Cisco, Ericsson, Huawei, NEC, Nokia Siemens Networks, Samsung, ZTE, Broadcom, Cavium, Cognovo, DesignArt, Freescale, Intel, Mindspeed, Picochip, Qualcomm, Texas Instruments, and others.